Fundraisers got into the swing of it at a charity golf day in aid of a local hospice. Golfers packed onto the fairways at Flempton Golf Club to raise £2,500 for St Nicholas Hospice Care, which supports those living with caring, dying and bereavement. The charity day sponsored by letting and estate agent, Martin & Co and supported by professional golfer, Paul Kent, took place on October 25 and saw ten teams of four players with different handicaps all vying for the top spot. 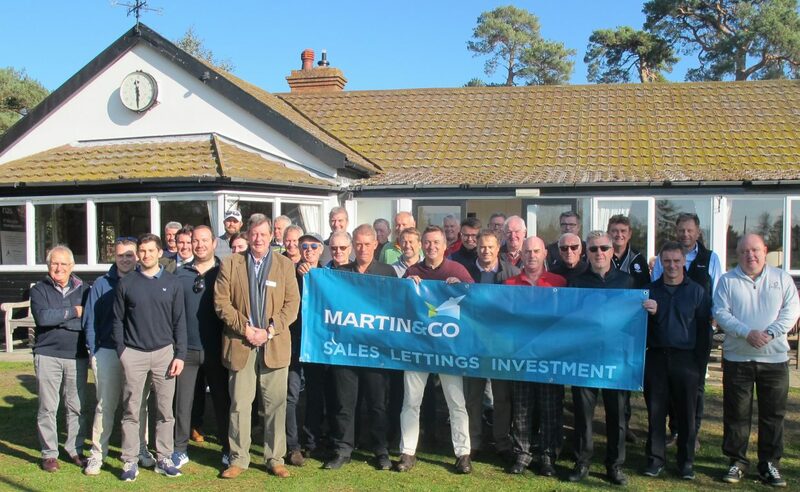 Martin & Co, managing director, John Rushman said: “We had a great day out on the fairways and would like to say a big thanks to Flempton Golf Club for letting us play free of charge and all those who took part. “Martin & Co are regular supporters of the hospice and in the past we have taken part in events and challenges such as I’m a CEO Get Me Out of Here and the recent Mission: Improbable. “As a Bury St Edmunds located business over the last 14 years many of our team have had family members and friends cared for at the hospice, so we are aware of the outstanding service provided to patients and their families”. Martin & Co provided £1,000 worth of prizes for the raffle and auction and local businesses Jubilee Finance and NS2 donated England rugby tickets and a signed England rugby shirt.